First World War recruitment poster; 'Pay Your 5/- for this and help crush the Germans. 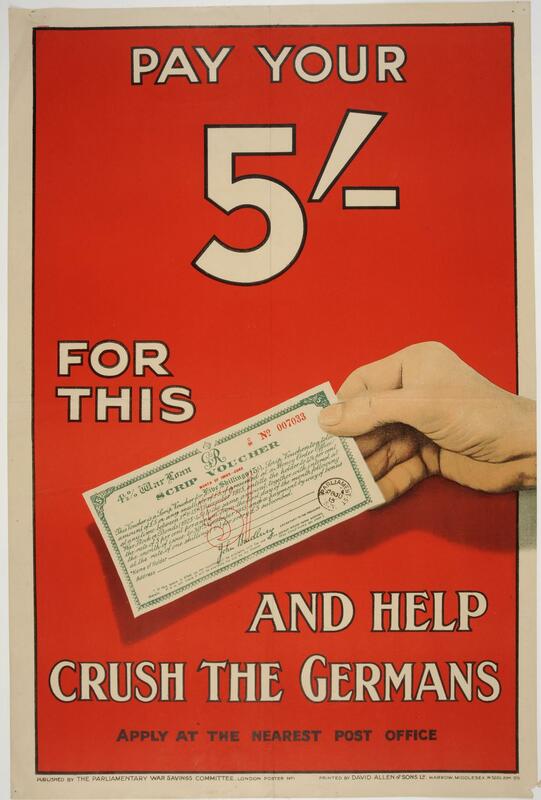 Apply at the nearest Post Office'; published by the Parliamentary War Savings Committee, London; poster no.1 Poster advertising war bonds with an illustration of hand holding a scrip voucher; and the encouragement that everyone needs to contribute to 'help crush the Germans'. David Allen & Sons Ld.